ENCOURAGING AND EQUIPPING THE SAINTS | "ALWAYS REMEMBER: CHRIST JESUS DIED AND ROSE AGAIN WITH ALL POWER IN HIS HANDS FOR YOU AND ME! PHILIPPIANS 4:13 -. I can do all things through Christ which strengthens me. I give El SHADDAI: all the honour, glory, and praise because this morning I rode the bicycle and then I WALKED 105 FEET in Physical Therapy and my Physical Therapist Melody said that I did EXCELLENT!!! HALLELUJAH. THANK YOU JESUS!! PRAISE GOD! I’m here to let you all know that I am going to get up out of this wheelchair and WALK IN JESUS NAME!!! AMEN. I don’t let my circumstances control me because I am a daughter of the MOST HIGH GOD!!! BE ENCOURAGED, Stay focused in GOD’S WORD, Keep the FAITH!! 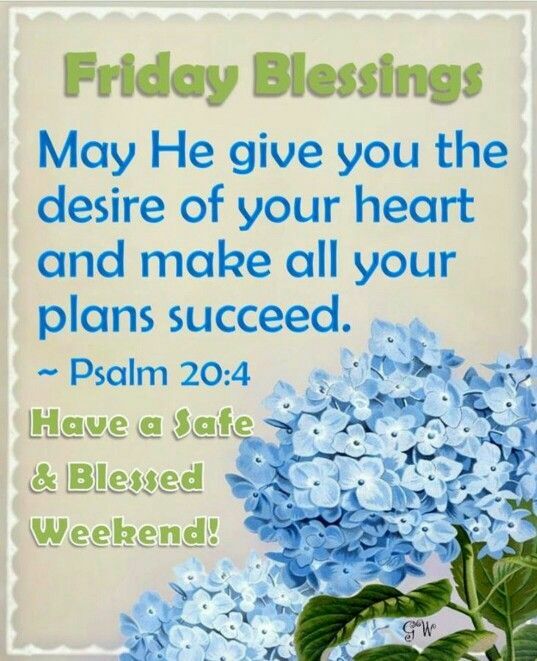 Have a Blessed Day!! Categories OUR DAILY MEDITATION SCRIPTURES. (1) As the Hart panteth after the water Brooks, so panteth my soul after thee, O GOD. (2) My soul thirsty for GOD, for the living GOD: when shall I come and appear before GOD? PSALM 31:3 – For thou art my rock and my fortress; therefore for thy name’s sake lead me and guide me. PSALM 27:8 – When thou saidst, Seek ye my face; my heart said unto thee, Thy face, LORD, will I seek. JEREMIAH 29:13 – And ye shall seek me, and find me, when ye shall search for me with all your heart. I thank and glorify EL SHADDAI for his AWESOME word! AMEN. We must continue to stay in the WORD OF GOD WALKING BY FAITH, Meditating day and night! AMEN. Thank and Praise Our Heavenly Father for everything and everyone who he has in our lives to help and BLESS US! Glory to GOD. Always remember: GOD loves you and so do I! I pray that I have said something to encourage someone this morning. Have a BLESSED DAY IN JESUS NAME!! PSALM 5:3 – My voice shalt thou hear in the morning, O LORD; in the morning will I direct my prayer unto thee, and will look up. PSALM 9:1 – I WILL praise thee, O LORD, with my whole heart; I will show forth all the marvellous works. PSALM 8:1 – O LORD our LORD, how excellent is the name in all the earth! who hast set the glory above the heavens. Truly my soul magnifies EL SHADDAI for blessing me to see another day. I had a blockage in my body and had to be hospitalized but, nevertheless I PRAISE GOD I AM still here! THANK GOD! HALLELUJAH! THANK YOU JESUS! No matter what we go through in this life we must always give GOD ALMIGHTY A YET PRAISE! AMEN. I pray that I have said something to encourage someone this morning. Always remember: GOD loves you and so do I! Have a Blessed Day in Jesus! Let me tell you how AWESOME EL SHADDAI truly is because I was not able to get my daughter anything for Christmas this year so I poured out my heart unto EL SHADDAI and the other day a woman from Josie’s School called me and said that Shreveport Police Department are giving children Christmas Presents and she asked me if she could have my permission to put Josie’s name down and I said yes. PRAISE GOD. I tell you the Police Officer called and we set up a time for when he coico take Josie Christmas Shopping and on my birthday December 19th that evening the police officer took Josie Christmas Shopping and she was so very happy! I THANK AND PRAISE EL SHADDAI MY ALMIGHTY GOD FOR BLESSING MY DAUGHTER JOSIE BECAUSE THAT WAS A PRAYER ANSWERED!! AMEN. HALLELUJAH. THANK YOU JESUS! PRAISE GOD. GLORY TO GOD! ALWAYS REMEMBER: GOD LOVES YOU AND SO DO! HAVE A BLESSED DAY IN JESUS! (1) I will love thee, O LORD, my strength. (2) The LORD is my rock, and my fortress, and and my deliverer; my God, my strength, in whom I will trust; my buckler, and the horn of my salvation, and my high tower. (3) I will call upon the LORD, who is worthy to be praised: so shall I be saved from mine enemies. HALLELUJAH! I thank and praise my Almighty GOD EL SHADDAI because HE IS My ROCK, MY HEALER, My EVERYTHING! I tell GOD have been good to me. You late THURSDAY night I was sick and I tried everything I could but the pain was so sharp and severe that I called 911 and I tell you I stayed at LSU Hospital until Sunday night and I poured out my heart unto ALMIGHTY GOD EL SHADDAI because HE knows better than I know myself or anyone else! Amen. So I began to talk in mm heavenly language and I felt better next thing I knew they Mrs. Bennett all your tests are good and we didn’t see anything wrong with your X-RAYS or CATSKAN so you can go home. I PRAISE GOD! THANK YOU JESUS. HALLELUJAH!. No matter what we go through we must continue to stay focused on the WORD OF GOD AND GIVE GOD THE GLORY! GOD BLESS YOU IN JESUS NAME! Have A BLESSED DAY IN JESUS! Proverbs 16:7 – When the LORD takes pleasure in anyone’s way, he causes their enemies to make peace with them. (1) I beseech you therefore, brethren, by the mercies of GOD, that ye present your bodies a living sacrifice, holy, acceptable unto GOD, which is your reasonable service. (2) And be not confirmed to thisi world; but be ye transformed by the renewing of your mind, that ye may prove what is that good, and acceptable, and perfect, will of GOD. No matter what we go through in this life by the GRACE OF EL SHADDAI we be must continue to walk by FAITH, stay in the word of GOD, leaning and depending on HIM!! AMEN. Have a Blessed Evening in JESUS! PSALM 20:4 – GRANT THEE ACCORDING TO THINE OWN HEART, AND FULFIL ALL THY COUNSEL. WE ALL SHOULD THANK AND PRAISE MY ALMIGHTY GOD EL SHADDAI JUST FOR BLESSING US TO LIVE AND SEE A BRAND NEW DAY!! AMEN. FOR GOD IS WORTHY OF ALL THE PRAISE, GLORY, AND HONOUR THAT WE CAN GIVE HIM EVERY CHANCE WE GET. WHEN I THINK ABOUT HIS GOODNESS AND ALL THAT HE HAVE DONE FOR I I CAN’T HELP BUT TO SAY THANK YOU JESU!!! GLORY HALLELUJAH. YOU EVEN THOUGH I AM GOING THROUGH FINANCIAL DIFFICULTIES RIGHT NOW BUT I WANT YOU ALL TO KNOW THAT ARE ALL WILL ALWAYS BE IN MY THOUGHTS AND PRAYERS! AMEN. ALWAYS REMEMBER: GOD LOVES YOU AND SO DO I!! 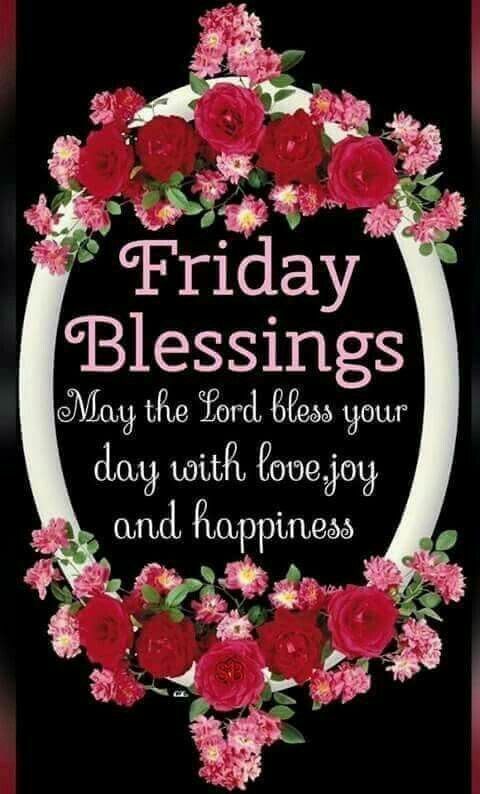 HAVE A BLESSED FRIDAY IN JESUS! HALLELUJAH! THANK YOU JESUS. WE MUST FAST AND PRAY AND STAY FOCUSED ON THE WORD OF GOD, WALKING BY FAITH WITH THE BLOOD OF JESUS DAY AND NIGHT!! I THANK AND PRAISE MY ALMIGHTY GOD EL SHADDAI FOR HIS AWESOME WORD! AMEN. WE MUST DECREE THE WORD EVERY DAY OVER OUR AND OUR FAMILY LIFE AND KEEP THE DEVIL/SATAN UNDER OUR FEET! GLORY TO GOD. I PRAY THAT I HAVE SAID SOMETHING TO ENCOURAGE SOMEONE THIS MORNING. ALWAYS REMEMBER: GOD LOVES YOU AND SO DO I! 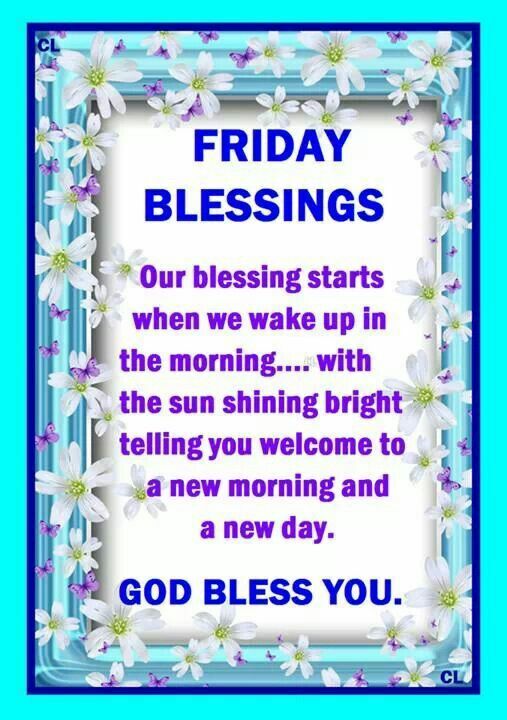 HAVE A BLESSED FRIDAY IN JESUS!! WE MUST DAILY ASK GOD TO HELP US NO MATTER WHAT TO DO THINGS THAT WILL PLEASE HIM SERVING HIM WITH OUR WHOLE HEART! AMEN. I THANK AND PRAISE MY ALMIGHTY GOD EL SHADDAI FOR HIS AWESOME WORD! AMEN. WE MUST DECREE THE WORD EVERY DAY OVER OUR AND OUR FAMILY LIFE AND KEEP THE DEVIL/SATAN UNDER OUR FEET! GLORY TO GOD. I PRAY THAT I HAVE SAID SOMETHING TO ENCOURAGE SOMEONE THIS MORNING. ALWAYS REMEMBER: GOD LOVES YOU AND SO DO I! 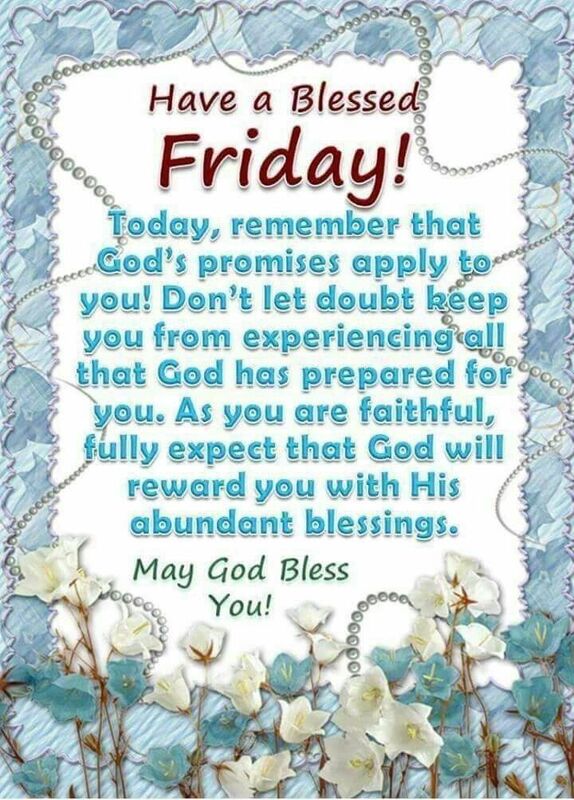 HAVE A BLESSED FRIDAY IN JESUS! !